Transition is inevitable in ministry. [quote]Transition is inevitable in ministry. [/quote] We hear this truth and strive to take it to heart, yet often our hearts still cling to the familiar and try to find comfort in what we know. 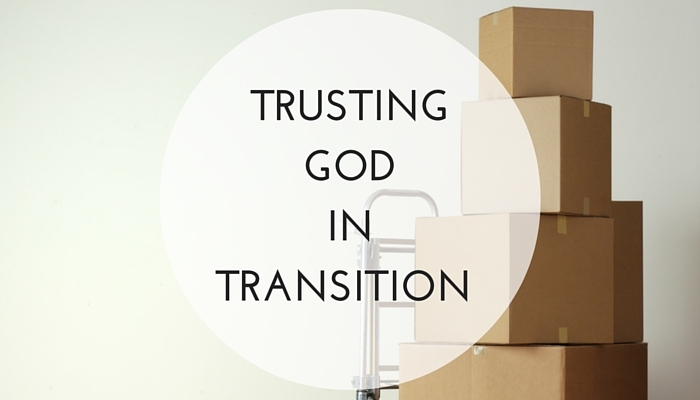 Why do I believe transition is inevitable in ministry? Ministry opportunities are birthed in the raw and inconvenient moments of the shifting sands of life, an environment prone to change. As the winds of change blow, we can’t cling to a specific ministry idea or position. Nor can we expect our husband’s role to remain the same. What we can do is fix our minds and hearts on serving an eternal, all-powerful, unchanging God who first loved and saved us. Therefore, love people deeply, live life together fully, and when the Lord leads your husband to follow Him into a new role or the “great unknown”, make haste to help him obey His voice. Have courage to be the helper God designed you to be, rally round your husband and transition well! Let us not waste precious Kingdom time wallowing in self-pity, self-doubt, fear and pride. Shifting sands can quickly expose the sinful conditions of our hearts by stripping us of the familiar and throwing us into the crucible of change. 1 Peter 5:5-10 proves to be a robust truth to guard us well in transition. My husband and I have journeyed through a season of ministry transition and these are some of the things the Holy Spirit taught me or reminded me of in the midst of it. If you’re in the midst of a transitional season of ministry I pray they would bring comfort to you. Remember that God’s abundant grace will meet you in your time of transition. His grace met me and allowed me to walk down a path I could not have imagined or planned. At the time of our transition, we had an almost 2 year old and I was 20 weeks pregnant with our second child. Talk about emotions being high and energy being low! God’s grace enabled me to be the encourager and grace giver to my husband that I know was not of myself, but His grace at work in me. Remember that God protects and guides our husbands through the counsel of the church leaders. The Holy Spirit was faithful to convict me and my husband of any pride and to quickly remind us to be humble and subject ourselves to His leadership through the elders of our church. My husband was given a sweet time of discipleship after he transitioned out of formal ministry. It was a unique time of debriefing and preparing for what was to come and it was an important reminder to respond with humble hearts to our spiritual authorities, their love and care is a gift of God’s grace to us. Remember that it is vital to seek God diligently through His word during transition. God’s word will make known to you the necessary steps of action you need in order to help your husband. Psalms 16:11 says that “You make known to me the path of life; in your presence there is fullness of joy; at your right hand are pleasures forevermore” and 2 Timothy 3:16 reminds us that “all Scripture is breathed out by God and profitable for teaching, for reproof, for correction, and for training in righteousness, that the man of God may be competent, equipped for every good work”. Remember that transition will provide you with an opportunity to be more dependent on God in prayer. Anxiety can quickly set in for me during times of change, so many needs and questions swirl around in my mind that I wonder how I am going to do it all. Fears of the unknown overwhelm and rob me of the joy that is found in being a helper to my husband, especially the role I fulfill as his prayer warrior. To keep my anxieties and emotions from ruling my prayer life, I often prayed the Lord’s Prayer for him and myself during our transition. The first sentence alone, ‘Our Father in Heaven, hallowed be your name’ set my mind on God’s holiness, sovereignty and loving role as Father in my life. A deep prayer life provides a lens for seeing God’s faithful hand of provision in transition. [quote]A deep prayer life provides a lens for seeing God’s faithful hand of provision in transition. [/quote] There were a handful of “big” prayer needs that my husband had during his time of transition. We prayed together and separately for those things. As we saw God’s provision during that time, our faith was increased in knowing that we were exactly where we should be and that God was present there with us. Remember to practice gratitude This is perhaps the most convicting of the lessons I am learning. Transition as I have said can be scary, unknown, uneasy, challenging and tiring. The last thing your heart is screaming is “thank you”. I believe with all my heart, now more now than ever though, that it should be. When we look at our transitions in light of eternity we can see more clearly the thousands of blessings God had designed for His glory and our good in the midst of it. There is always more to be thankful for than there is to complain about. In our season of transition I have learned the importance of reminding my husband how blessed I am to be by his side on this journey of life. This job as helper to my husband was given to me by a God whose designs are perfect and far beyond my comprehension. Sisters, let’s be found trusting in Him and His plans with all our hearts as devoted helpers to our men of God. Others, even our children, are watching our faith in times of transition.